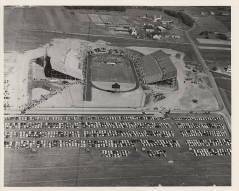 Photo courtesy of the Penn State University Archives. This post was written by Andrew Gearhart, Web Developer in the Libraries’ Publishing and Curation Services department. The International Image Interoperability Framework (IIIF) was created by a group of technical pioneers who are working to standardize the availability of images, making them accessible from multiple types of image stores to be used in variations that need not be pre-created. IIIF allows for dramatic flexibility in content delivery in multiple application contexts. This post was written by Rachel A. McCaskill (née Smith). Rachel was a Diversity Resident Librarian at Penn State, 2013-2015. 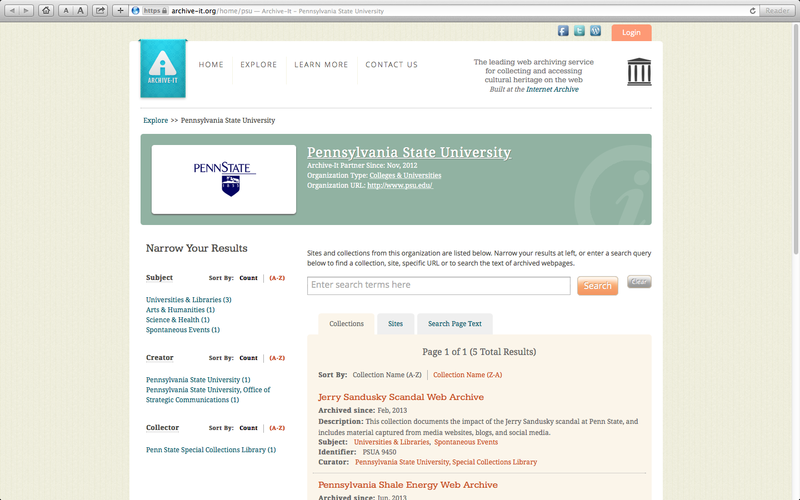 While at Penn State, Rachel worked with the Special Collections Library and with Digitization and Preservation at the University Libraries on digitizing Penn State Froth magazine issues and getting the collection online. She is now Learning Technologies Librarian at Virginia Commonwealth University Libraries in Richmond, VA. 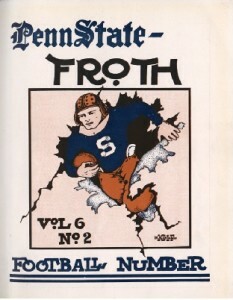 The Penn State Froth, the nation’s second oldest college humor magazine, was founded in 1909 and published from 1910 to 1985. It replaced Penn State’s first humor magazine, the Lemon, which published its final issue on June 10, 1908. The Lemon left a major void, as it seems to have been an influential part of student life on campus in the old days. For example, the Lemon covered the birth of Penn State’s Nittany Lion mascot in its publication. A. W. Fisher, editor of the State Collegian, which was a predecessor to The Daily Collegian, served as editor of the first issue of Froth. This post was written by Katelyn Dion, Digital Archives Assistant in the Special Collections Library. 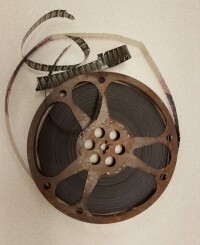 Penn State Special Collections Library is home to approximately 70,000 unique audio/visual (A/V) holdings. 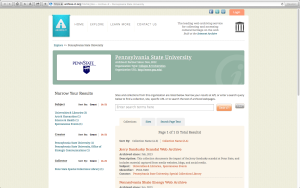 These A/V materials focus around our major collecting areas including Penn State University history, state and local history, labor history, and rare books and manuscripts. We have 21 different types of audio formats and speeds, and 25 different formats of moving image. This post was written by Mohamed Berray, Resident Social Sciences Librarian (2013-2015), who attended both DPLAfest 2013 and DPLAfest 2015. 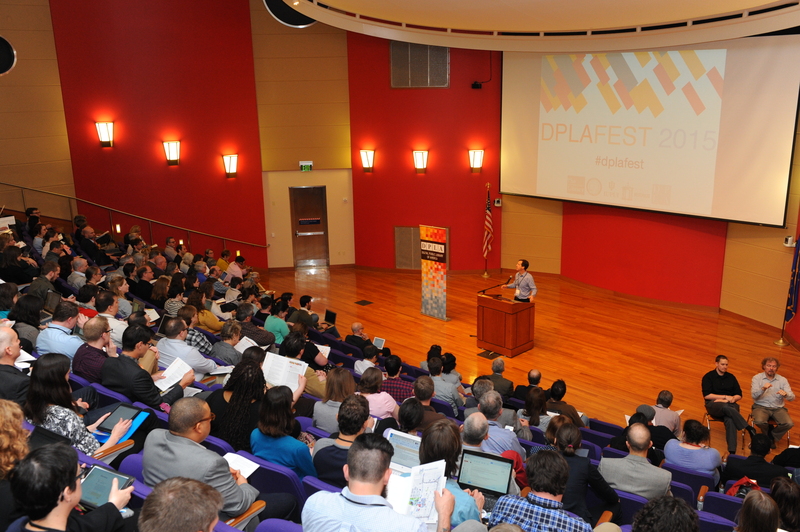 In October 2013, the Digital Public Library of America (DPLA) brought together 450 technologists, publishers, developers, librarians, museum professionals, and archivists for its first-ever DPLAfest to celebrate the successful launch of DPLA early in April that year. Still life by Alexander Calder (1898-1976). Smithsonian Institution, via the Digital Public Library of America (DPLA). This post was written by Linda Friend, Head, Scholarly Publishing Services, Patricia Hswe, Digital Content Strategist and Head, ScholarSphere User Services, and James O’Sullivan, Digital Humanities Research Designer. It’s been two months since our colleague Sabra Statham passed away on March 20. As a department, we wanted to pay homage to her through 100 Digital Discoveries, especially since she was a passionate advocate for digital collections. 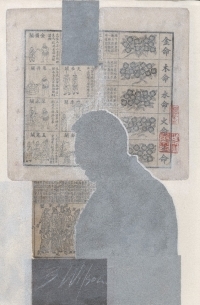 The Special Collections Library (104 Paterno Library) now has on display “Brent Wilson: Journals and Journeys, Too.” The exhibit runs from May 15 to September 13. As a complement to the physical exhibit, the University Libraries has digitized Wilson’s papers. 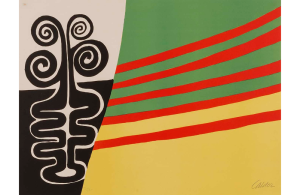 Check out the online collection, Brent Wilson Papers, 1950-2013. This post was written by Ben Goldman, Digital Records Archivist. In honor of Preservation Week, I wanted to provide an introductory post (what I hope will be the first of several) on web archiving. An enormous amount of cultural heritage is now published online, which presents both opportunities and challenges for archivists charged with collecting, preserving, and making accessible documentation for future generations. An entire blog post (or more) could be devoted to describing these opportunities and challenges in greater depth, but the New Yorker has already done so with an elegance I could not hope to surpass. I highly recommend spending some time with “The Cobweb,” by Jill Lepore, on newyorker.com (I even sent this article to my parents as a way of explaining what I do). This post was written by Paige Andrew, Maps Cataloging Librarian. 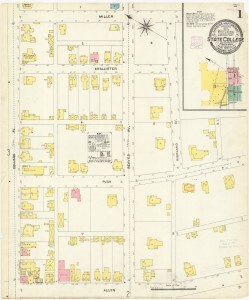 A portion of sheet 1 of the 1906 Sanborn map of State College, Pennsylvania. Note the added textual information such as population of 1000 included in the title frame. For nearly a century and a half the maps that comprise a historic Pennsylvania collection in the Libraries, published by the Sanborn Map Company (and earlier iterations of the name), have long provided a unique, graphic, primary resource for a variety of research needs. 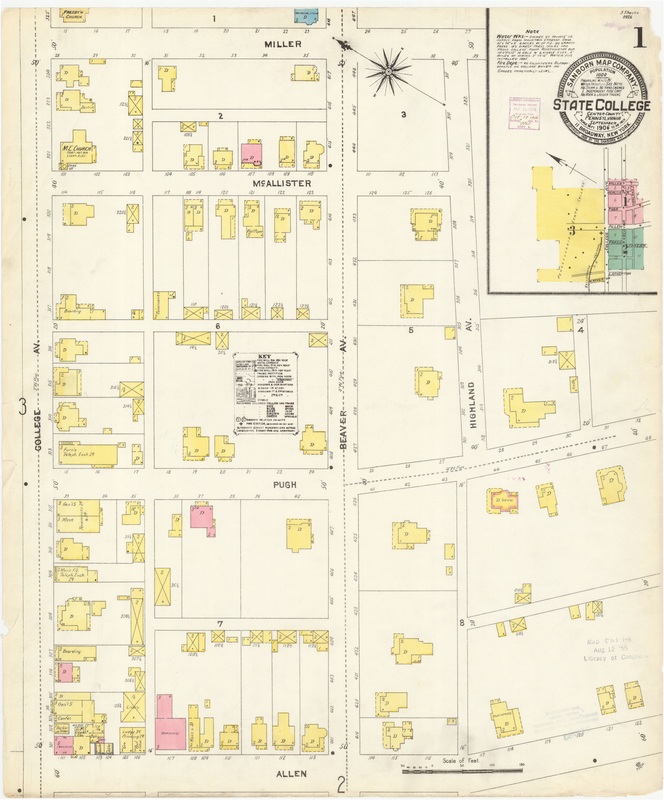 Sanborn fire insurance maps have tracked the growth of cities and towns in the United States over time and provide an abundance of information on each community represented. This post was written by James O’Sullivan, Digital Humanities Research Designer. 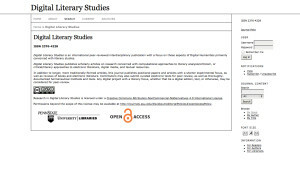 Digital Literary Studies was recently launched by PCS, a new journal intended to act as an international peer-reviewed interdisciplinary publication with a focus on those aspects of Digital Humanities primarily concerned with literary studies.